TaikiUSA is more than just a supplier or manufacturer. We are a partner that will work with you to deliver the innovative solutions that meet demands and solve your customers’ needs. 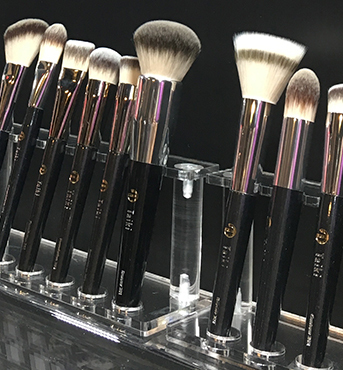 We specialize in designing and delivering custom, quality application tools—such as brushes, sponges, applicators and facial masks—that enhance your makeup and skincare products and delivers the kind of application experience that creates loyal customers. Our team has the industry expertise and the production knowledge to help bring innovative solutions to market. Taiki focuses on ethically responsible products, such as animal-free fibers, and antimicrobial solutions for safer, better products. Animal-free, engineered brush fibers that doesn’t sacrifice performance, functionality or style. Antimicrobial containers and applicators that keep your product secure and safe for consumers. Patented sheet masks that work with a variety of formulas for a more effective skincare delivery system. Our process is simple and transparent for our customers and partners; we believe that bringing accountability and integrity to every engagement is the only option. Our goal is to understand your needs and how you want to elevate your brand. Get inspired by our product samples or work with us to develop something brand new. Using our industry awareness and expertise, we will design a solution catered to you. From formula to materials and packaging, every detail is scrutinized and refined until it’s just right. We work within our vast network of partnerships, translating your needs to factory language and managing logistics, financials and delivery to ensure you get a quality product on time and on budget. Taiki will help you take your goals from conception through design, right through to production and manufacturing.